There are several ways in which companies can be ranked against one another — the most popular method is market capitalization, which is the total value of their shares on the stock market. Companies can also be compared on the basis of their revenues, which is the total amount of money that they make. But an often overlooked — but vital — means to rank companies can be through the total amounts of profits they generate. Apple is a once-in-a-generation company. It is not only the most valuable company in the world by market capitalization, but is also the most profitable. With annual profits of $48.3 billion, Apple is at the top of the list of the most profitable companies in the world. 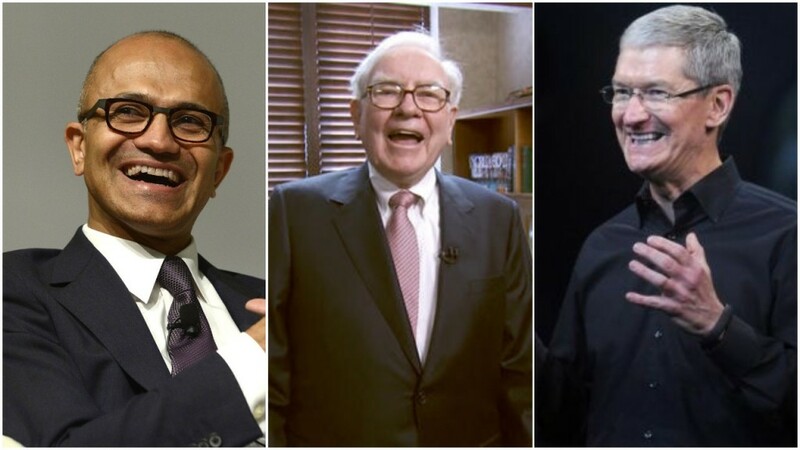 Berkshire Hathaway doesn’t produce any products of its own, but owns sizable stakes in several major companies including Apple, Coca Cola, IBM, Mastercard, Walmart, and Goldman Sachs. The Warren Buffett-led company recently made its first investment in India, by putting in $300 million into Paytm. With profits of $44.9 billion, it’s number two on the list of the most profitable companies in the world. US-based telecommunications giant Verizon earned profits of $30.1 billion last year, making it the third most profitable company in the world. Verizon is the largest wireless communications service provider in the US, and has 147 million mobile customers. Fellow telecommunications company AT&T follows Verizon on the list. AT&T was founded by Alexander Graham Bell 133 years ago, and for several years was the biggest telephone company in the world. In 1984, it was split into several smaller companies, with Verizon being one of them. Last year, AT&T generated profits of $29.4 billion. JP Morgan Chase is the largest bank in the US, and the sixth largest in the world by total assets. It is the most valuable bank in terms of market capitalization; it is also the most profitable bank in the world with profits of $24.4 billion. Comcast is the third telecommunications company in the top 6 most profitable companies in the world. It is the largest cable TV company in the US, and also the largest home Internet service provider in the country. Last year, it generated profits of $22.7 billion. Wells Fargo is the second most valuable bank in the world in terms of market capitalization, and the fourth largest in the US in terms of assets. Last year, it generated profits of $22.1 billion. Pfizer was founded all the way back in 1869, and is now one of the world’s biggest pharmaceutical companies. It’s also the most profitable pharma company, coming in 8th on the list with profits of $21.3 billion. After Apple, Microsoft is only the second tech company on the list. Microsoft has had a stellar 2018, first going past Google-parent Alphabet in terms of market capitalization, and then going past Amazon to become the second most valuable company in the world. It does well in the list of most profitable companies as well, coming in 9th with profits of $21.2 billion. The world might be trying to move towards renewable sources of energy, but oil and gas giant Exxon Mobil rounds up the top 10 with profits of $19.7 billion. The notable companies which didn’t make the list were Facebook, which was 12th with profits of $15.9 billion and Google-parent Alphabet, which was 14th with profits of $12.6 billion.